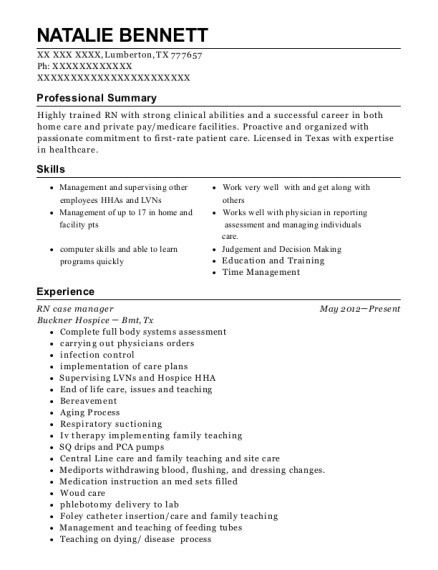 Service-oriented Case manger with 15 year background in Care Management. Core competencies include Milliman criteria, Allscripts and collobration with physicians, and appropriate knowledge to alternate levels of care. Excellent communication and time management skills. Handles tasks with accuracy and efficiency. Apatient advocate who serves as a liaison between patients, families and doctors. In charge with understanding of the patient's condition and treatments so he can help the patient understand them as well. Home Care Nurse Jan 1995－Aug 2000 Advocate Condell Medical Center － Libertyville, IL Checked vital signs, assessed patient's symptoms and disease processes, educated patients and their caregivers, wound care, administered intravenous medication, obtained blood samples for lab work and reported abnormal findings to the patient's doctor. 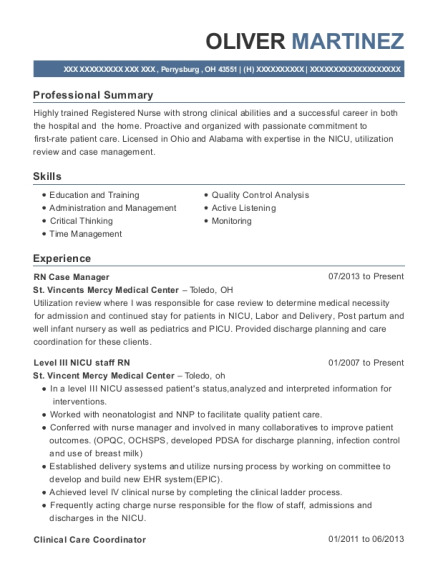 This is a resume for a RN Case Manager in Lake Zurich, Illinois with experience working for such companies as Advocate Medical Center and Advocate Condell Medical Center. 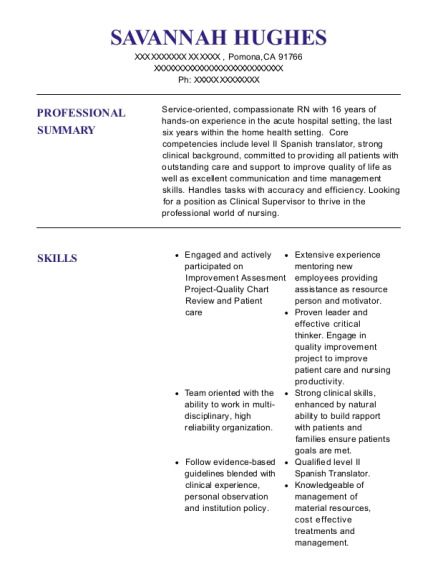 The grade for this resume is 0 and is one of hundreds of RN Case Manager resumes available on our site for free. 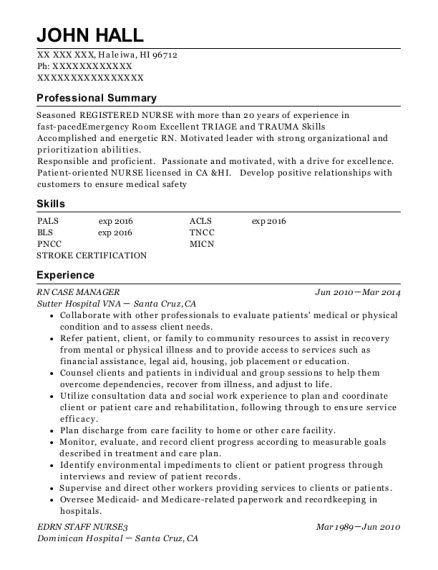 Use these resumes as templates to get help creating the best RN Case Manager resume.